To find you the best possible plate, we are now searching over 40,000,000 entries this could take upto 30 seconds. It’s no secret that Private Number Plates (PNP) has more than 56 million plates to choose from, and we’re sure that we have the right one for your needs. Our team works hard to make the buying process simple, while we always strive to provide our customers with DVLA plates at the lowest possible prices. We’re constantly adding new cherished number plates to our website, and this is because we also advertise registrations for people looking to sell their very own plates. We do this for free, and we’ll even deal with the paperwork. DVLA registrations come in a range of styles and we provide our clients with a choice of all four types, including prefix registrations, suffix, dateless and current style. DVLA private plates can range in price, but we have registrations suited for various budgets. Our team can also offer plate printing on a brand new acrylic plate, and we can provide our customers with a choice of flags and borders as well as 3D lettering. A registration plate can give your vehicle a unique style, and the search for your perfect choice of plate begins here, using the ‘Find a Plate Search Tool’. Private Number Plates prides itself on delivering a huge range of number plates from only £25 with a fast and efficient service and the best possible prices. Our team also have a price match promise where we will attempt to match or beat the price quoted by any another personalised number plate company. If your ideal number plate is not in our list then you only have to contact our team to find out more, and we’ll be more than happy to conduct our own search using our many contacts in the industry to see whether we can get the number pate for you at the lowest possible price. 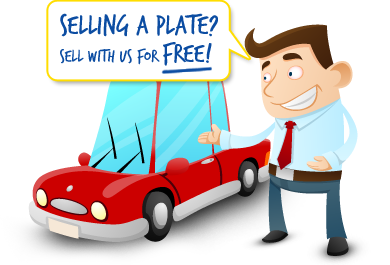 To speak to our team today call us on 01952 581709 or send us an email at sales@private-number-plates.co.uk. Not only do we take the leg work out of searching, once we have found the mark right for you we will endeavour to get it at the best price. Type & Find Your Perfect Plate Now! ENTER YOUR INTIALS, NAME, CAR, ANYTHING!